While La Résidence de la Pinède is only a 13-minute stroll from St. Tropez’s buzzing port, it feels like a remote escape. The short distance separates you from the throngs of tourists gawking at the mega yachts parked in the harbor and crowding tables at the waterfront restaurants. And you’ll forget about them entirely in La Résidence’s quiet private beach — the only hotel to have one in the French Riviera — lined with rows of canary yellow and white chaise lounges. The glittering water and hilly coast add a soothing backdrop. The interior of the boutique hotel matches its serene park surroundings. 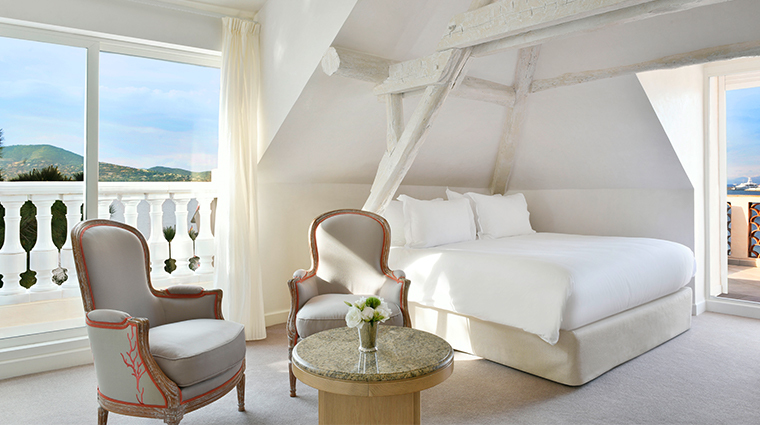 The French-tinged rooms are bathed in white, which lends a crisp, fresh look. And you won’t have to worry about crowds crushing the calm — there are only 36 rooms in the intimate property. One place where you may have to elbow your way for space at the luxury hotel is at La Vague d’Or. Foodies seek out meals at the restaurant from noted chef Arnaud Donckele, who trained with Alain Ducasse. 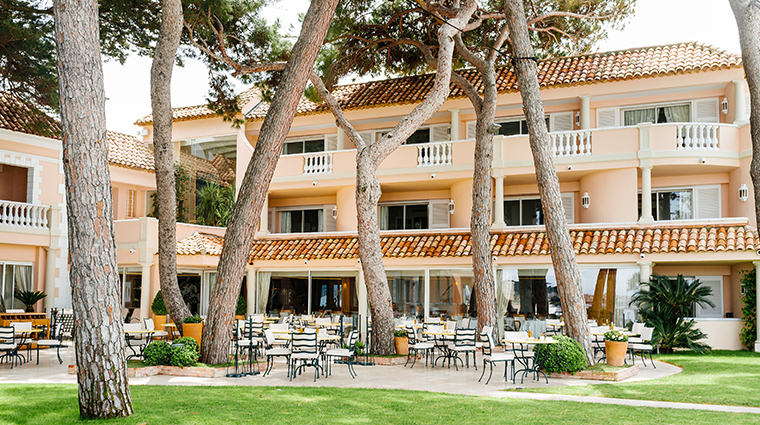 • Don’t miss sunning at Bouillabaisse, the only private beach owned by a St. Tropez hotel. • When you need a cool off, plunge into the 86-degree infinity pool overlooking the sea. • The complimentary breakfast isn’t an afterthought. A bread trolley tempts with loaves of rye, fig, brioche, walnut and more. Yogurt, fresh goat cheese, mortadella and a delightful walnut mousse also are on offer. • Before dinner, head to the lobby to taste from Armagnac cart. It’s teeming with bottles of the small-batch French brandy. 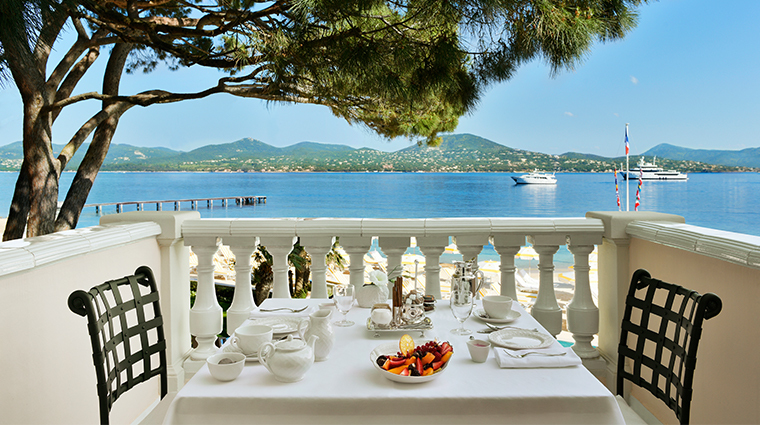 • For a thoroughly St. Tropez dining experience, take a table in the umbrella-covered terrace for lovely sea vistas. • Make a splashy arrival via boat to the beachfront hotel by cruising into the hotel’s dock. 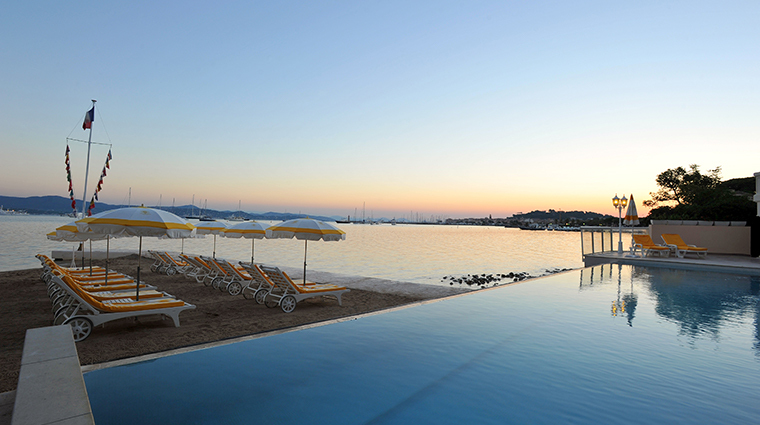 • As with many places in St. Tropez, the hotel and restaurant close for the winter season. • La Résidence is removed from the city center, but it’s a walkable distance. • Colorful details — the headboard’s pastel conches and coral, a golden shell print on each cabinet door — in the all-white room remind you that you’re at the beach. • We love the covetable Acqua di Parma toiletries that come stocked in the bathrooms. 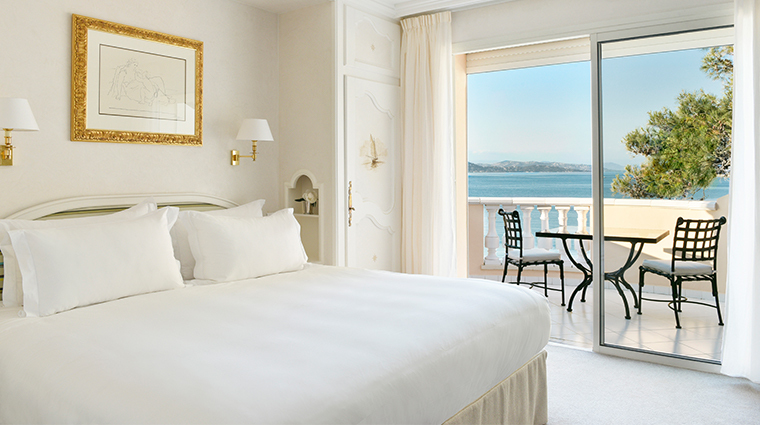 • To get the best views, reserve the Sea Suite. Its two roomy terraces give you different vantage points of the Gulf of St. Tropez. • Fashionistas will enjoy thumbing through the Dior books in the guest rooms.